Seriously, I cannot begin to tell you how thrilled I am. 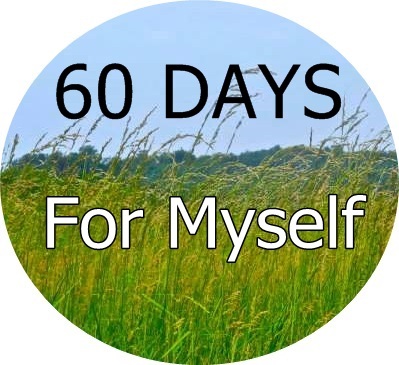 I made it the entire length of the 60 Day Challenge I set for myself. ALL THE WAY TO THE END!!! Sometimes you just gotta stop for one second and be proud of yourself. Sometimes you gotta just pat yourself on the back and say YAY ME! That’s where I am. However, I am absolutely not stopping here. I have set a Challenge for myself for the next 30 Days. AND I am joining with a friend for a series of 10 Day Challenges where we are pushing ourselves in one or two areas and holding each other accountable. There is nothing like the feeling of success. Not. One. Thing. Are you challenging yourself in an area right now? Please comment on this blog (below). Share it with the world. Make it public. It seems a little more real when you do. I can’t wait to encourage you back. Day 61 of the 60 Day Challenge!!! I joined the YMCA a few months ago to use the pool for therapy on my ailing knee as well as exercise. I love the water. 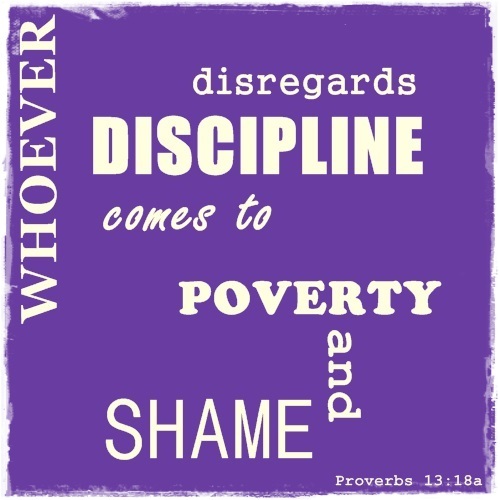 Whoever disregards discipline comes to poverty and shame! Oh my! So, then, not wanting poverty or shame, what is the opposite of this warning? Whoever regards discipline comes to prosperity and respect? That sounds about right, yes?